Are you ready to enter a world of luxury in the Land of the Long White Cloud? We’ve found half a dozen of the plushest luxury lodges in some of New Zealand’s hottest destinations. It’s time to get comfortable! 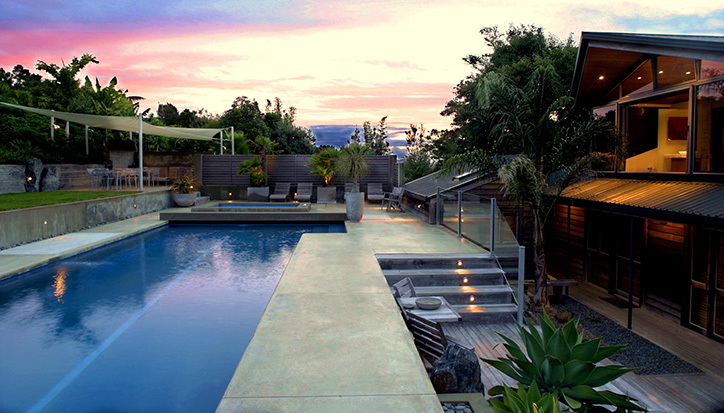 Pure luxury in one of New Zealand’s most famous destinations. The Eagle’s Nest offers guests a choice of 5 self-contained villas, providing 360-degree views across beautiful Russell and access to private beaches. Experience – 5 nearby golf courses, cycle trails, horse treks, fishing charters, helicopter tours: Cape Reinga, Ninety Mile Beach, Waipoa forest. Dining – Your personal chef provides 5 course meals made from local delights. Some of New Zealand’s best seafood can be found in this area. Alpine dreams come to life at the Azur Lodge in the Southern Hemisphere’s adventure capital, Queenstown. The villas overlook Lake Wakatipu and its surrounds, a view so beautiful you’ll never want to leave it behind. Experience Wineries, ski fields, skydiving, boutique golf courses, horse treks, bungy, jet boating, boat cruises. Dining Dine in the main dining room or have your meals delivered directly to your villa. The afternoon tea is irresistible. 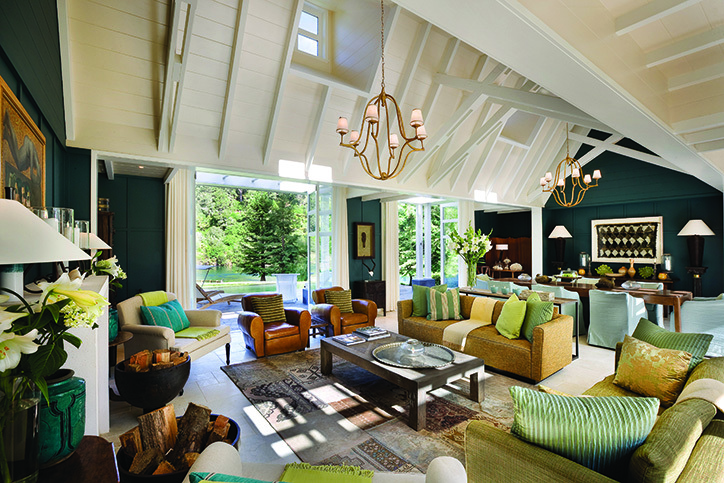 A golfer’s dream, Huka Lodge also has something for everyone. Nearby Taupo is one of NZ’s adventure capitals with access to Tongariro National Park and the Turoa and Whakapapa ski fields. The lodge is nestled on 17 acres of beautiful riverside grounds. 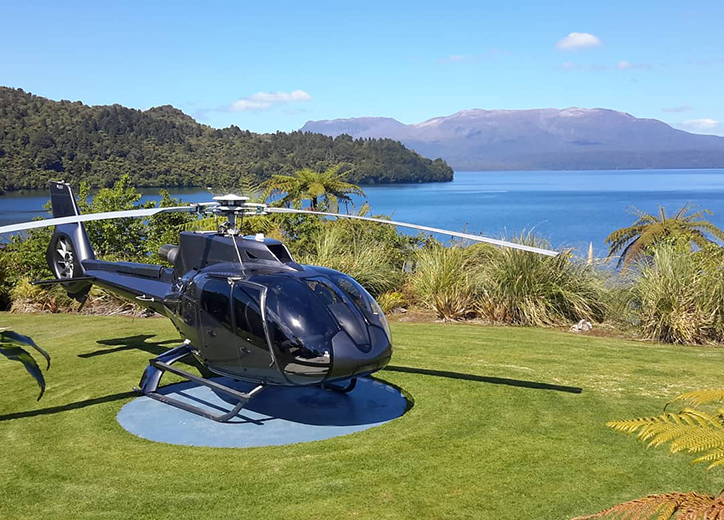 Experience Kinloch signature golf course, trout fishing, bungy, skydive, quad bike tours, jet boating, white water rafting, hunting, gliding, motorsport. Dining Private dining in a range of indoor and outdoor locations, with an extensive menu featuring incredible NZ wines. Stay in style while you visit the 8th wonder of the world – Milford Sound. A modern lodge sitting high on the hillside above Lake Te Anau makes for the perfect base for your adventure into Milford Sound or Doubtful Sound. Experience Milford Sound, Doubtful Sound, Milford track, jet boating, glow worm caves, hiking, cycling, fishing. Dining A farm-to-table ideology is employed in the restaurant, serving the finest local delicacies from the land and from the sea. Natural bush surrounds and a panoramic view over Lake Tawarewa are the setting at Solitaire Lodge, with a range of suites available to suit families or small groups of friends. Many of the local experiences reveal the geothermal nature of the region – think thermal springs, volcano tours and 4WD adventures. Experience Trout fishing, thermal springs, bush walks, cycle tracks, boating, deep water swimming, volcano tours by helicopter, 4WD adventures. Dining 5 course meals drawn from a dynamic, locally-sourced menu. Blanket Bay provides unrivalled peace and solitude on 10,000 acres of high-country farmland on the shores of Lake Wakatipu. Away from the bright lights and buzz of Queenstown, there’s simply nowhere better to relax. Experience Walking trails, fly fishing, heli skiing, golf, horse treks, jet boating, bungy, skydiving, 4WD adventures. Dining A range of indoor and outdoor spaces are available, ensuring every night’s meal is unique. Dine under the stars on the terrace, while sampling a local Pinot Noir. It’s time to start planning your luxury holiday to New Zealand!